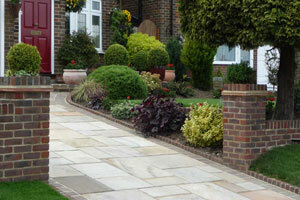 Fraser Landscapes are specialists in Driveways, Patios, Brickwork, Garden Walls and Landscape Gardening. We have been successfully providing these services for over 25 years and have extensive experience and many satisfied customers. 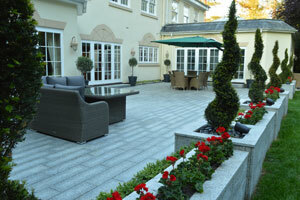 We operate primarily within Surrey, covering Thames Ditton, Esher, Hinchley Wood & Guildford. 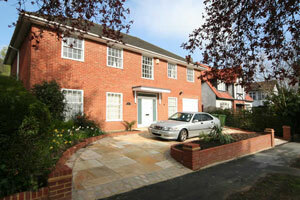 We take pride in knowing that your new driveway will go a long way in giving a great first impression of your home. Through the summer months to the winter, we want you to enjoy your new patio all year round. 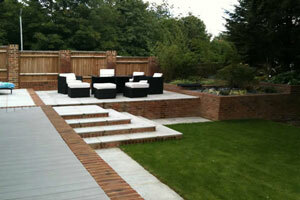 Our brickwork services are extensive, we provide garden borders, lawn edgings and waterfeatures. From flowerbeds to garden walls, we understand that your new garden features need to be both practical and pleasing to the eye. All our services are built to last and quality is assured. We use our expert knowledge and experience to ensure that your new driveway, patio or garden feature is finished to the highest standard – providing you with a solid, robust & finished product.